You’ve likely heard stories about animals warning people about pending natural disasters like tsunamis, avalanches and earthquakes. They seem to have an ability to anticipate disasters and catastrophic events, an ability many animal communicators have known about for years. During the 2004 Thailand tsunami, Bang Keoy villagers admit to seeing a herd of buffalo along the beach about an hour before the tsunami hit the island. They recalled watching as the buffalo lifted their heads, looked towards the sea then scurried for higher land. The villagers who followed had their lives spared. During World War II, it was common for families to rely on their pet’s natural instincts for warnings of danger. The behavior of the animals sent alarms that something was going to happen before the air raid warnings were even given. Authorities in China actually encourage people to report unusual animal behavior. Because the country is naturally earthquake prone, authorities rely in part, on the natural instincts of animals to predict such events. In many cases, cities have issued earthquake warnings based on the behavioral reactions of animals. Animal naturalist William Lon spent his life researching the communication patterns of animals separated by many miles, and determined they could in fact still communicate no matter the distance. One example was an injured female wolf. Left behind by the pack, she returned to the den and spent several days recovering while the rest of the pack moved on. After recovering, she suddenly reappeared with her pack, which Long admits had a lot more to do with than simply following a scented trail. Long was convinced that our pets also possess these same abilities. An experiment with a friend’s dog proved his theory when the animal was able to accurately predict the arrival of its owner over different days, times and situations. 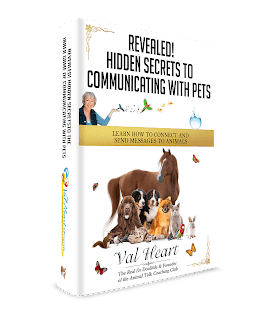 Without fully understanding the incredible phenomena of communication and telepathy, it is difficult for us humans to understand the behavior of our pets until we communicate with them. In research studies conducted by animal communicators, 50 percent of dog owners and 30 percent of cat owners say their pets are able to determine the arrival home of a family member. Other species including birds and horses were also found able to determine the arrival time of their owners well before they made it to the door. The ability of our pets to determine the arrival of a family member also clearly reaches beyond familiar sounds of parking cars and footsteps. Many family pets are able to determine such things long in advance. Animals also seem to know when they are going to the vet and even when something bad has happened to an absent human caretaker. It’s wise to listen to the animals. Perhaps our pets rely on things that defy scientific understanding because they know and can sense things that humans simply cannot. How would you know what they know unless you ask them?